Cooperative Communications, Inc is the New Jersey based VoIP business phone system with a proven track record specializing in serving the unique needs of businesses of all sizes. What is VoIP: Voice over Internet Protocol systems can deliver voice communication and voice messaging over IP broadband networks – exclusively through the Internet rather than a circuit-switched network. Your data is transferred by “packets” and transmitted over packet-switched networks. This method of communication optimizes Internet bandwidth you’re already utilizing in your office. A main reason to buy Voice Over IP phone service is cost. In fact, you may already be using a partial VoIP solution and not know it. Many local and long-distance carriers are migrating their circuit-switched service to Internet Protocol (IP) for added flexibility. In this scenario, the problem for you, the user, is that you don’t get the advantage of a smart handset. Cooperative Communications, Inc VoIP handsets give your business the flexibility with setup and system deployment so you can get a custom solution. The usual limitations of a traditional PBX won’t hold your business back. In every Cooperative Communications, Inc install, you can get a single site setup or multi-location complex solution tailored to your needs. A Cooperative Communications, Inc VoIP phone system is a scalable system your company can build on. If your business is seasonal, you can expand or modify it with ease. Not all Business VoIP systems are built to scale the same way. Cooperative Communications, Inc offers scalability with minimal downtime. One concern for VoIP communication is security. After all, your data will be traveling over the Internet. Not all VoIP phone systems for business offer enough security. The Cooperative Communications, Inc system offers several layers of Business VoIP encryption and security. The engineering team always strives to use the latest types of security and encryptions and codecs. Cooperative Communications, Inc Business PBX customers on our Unified Communications System can rest assured that calls are safe and the Business Phone Network they reside on is always managed and maintained. A technical liaison from the Cooperative Communications, Inc team will work with the business VoIP client to make sure the connection from you to us is always secure. This is done prior to install and ongoing after migration. Are you in the business of managing network, voice, equipment and technology providers? Of course not! You’re in an entirely different business. We recommend working with experts who install and manage VoIP phone systems especially designed for businesses. Jeff Jones, owner of American Office Centers and AmeriSource Realty provides outside validation of Cooperative Communications, Inc B2B VoIP services. Learn why David Fanale, Broker/Owner of Century 21 Eudan Realty, recommends our Voice Continuity Plan (VCP). 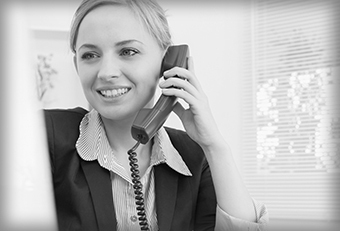 << LEARN MORE ABOUT THE BEST VoIP PROVIDER FOR BUSINESS. FILL OUT THE FORM AT LEFT.